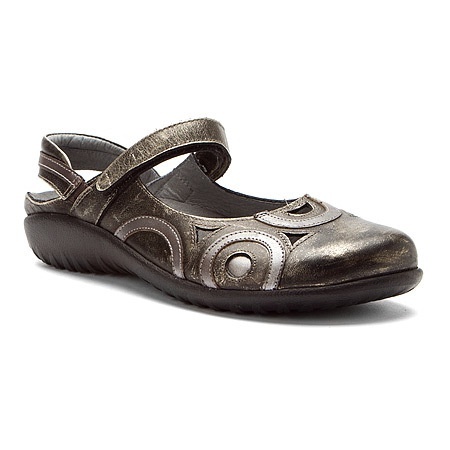 Add a touch of elegance to your ensemble with the Naot Rongo mary jane clog, part of the Naot Koru Collection. 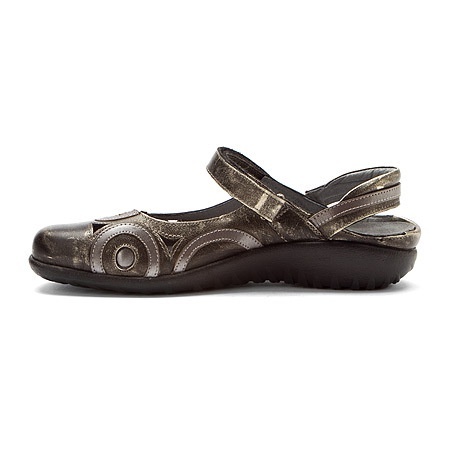 This stylish, casual women's walking shoe has a leather upper with patent leather overlays and cutout accents; an adjustable strap with a hook-and-loop closure ensures a snug fit. 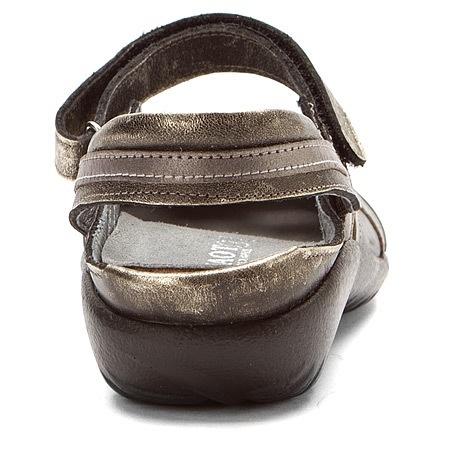 A padded heel cup and padded technical forefoot lining add easy comfort, while the removable, suede-covered, anatomical, shock-absorbing cork and natural latex cushioned insole encourages correct posture and distributes weight evenly to release pressure on the spinal column and joints. 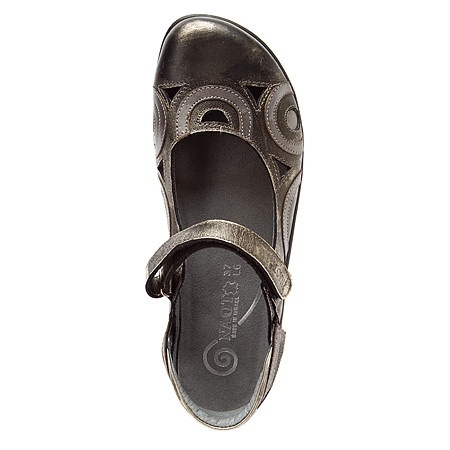 The contours and arches of the footbed prevent slippage, help maintain balance and protect the heel bone. 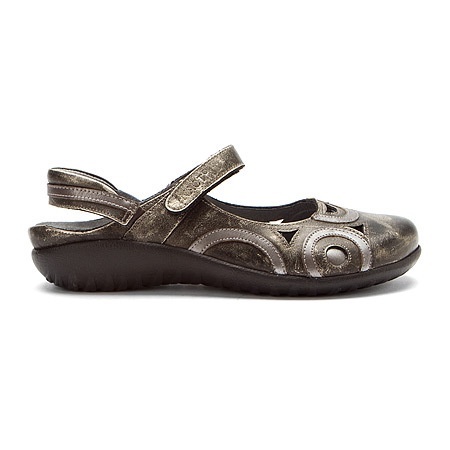 The Naot Rongo mary jane walking shoe is designed with handsewn Strobel construction for a flexible fit and feel; the lightweight rubber, polyurethane and latex sole absorbs shock for comfortable, long-wearing support. 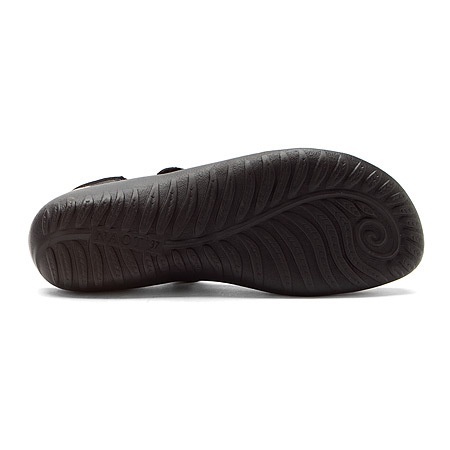 Fit tip: The width of this shoe runs medium.